Acetone liquid properties faulty in OpenFOAM? two other students and I are working on simulations of a spray jet flames with the sprayFoam solver. Here droplets are introduced into a jet stream (air) and accelerated by it. Due to jet stream temperature (in the experiments around 300K) evaporation takes place leading to fuel vapor in the gas phase and, secondly, additionally breakup of larger to smaller droplets is observed, which in summary leads to smaller droplets in the downstream direction of the flow. Now the problem: if droplets of acetone are added to the flow, they immediately heat up to their boiling temperature, even if the surrounding flow temperature is decreased to 270 K. Furthermore, they generate heat during evaporation, which contradicts the natural physical principles. In order to check whether the error is due to our simulation (boundary and/or initial conditions), we also carried out the simulation with ethanol and n-heptane, which leads to the normal expected results of cooling the gas. Therefore I have examined the source code for the liquids, and determined a deviation at the entry of the liquid enthalpy in comparison to all other liquids. Calculating the liquid enthalpy for different substances (in [J/kg]) at a temperature of 300 degrees (e.g. ethanol, butanol, heptane and others), all results are in the range between -2*10^6 and -8*10^6. Only the value of acetone is 3.476*10^6. According to the source code "Liquidproperties.C" the enthalpy is calculated to the reference value at 298.13 Kelvin. For this reason I think that there is an error in the constants of h_, unfortunately we don't have access to the required database to verify or falsify the assumption. However, in order to investigate the thesis further, I have rewritten the substance properties of "C3H6O.C" so that they contain the "h_" constants of ethanol and thus performed the simulation again. In this simulation the droplets behaved as expected, they heated slowly and withdrew heat from the environment during a phase transition to the gaseous phase. It would be good if someone could confirm this thesis of the wrong substance properties and even better if someone could access the right substance constants. Checking ... in progress. Thanks for the hint. Edit. Out of the box, it seems that the first coefficient a_ has a wrong sign. I will give feedback soon. I also checked and changed that. With the newly compiled code, the droplets have still heated up to boiling temperature immediately and continue to give off heat. Currently I am using factors I have obtained from a linear interpolation between 1-butanol and ethanol. This is certainly not correct, but gives the desired results. as I am aware of the complexity of chemical formulas, I am not sure if this is a sign error now or if it is correct. Thus, I reported the problem (https://bugs.openfoam.org/view.php?id=3085). Additionally I used another similar species (yours are different, hydroxyl OH vs single O species) and figured out similar behavior. Changing the first value will not help (slope is to low). Last edited by Tobi; October 13, 2018 at 04:56. A short update. I did not had time to make the patch already. However, it seems that the first coefficient is wrong but it will not resolve your problem. The thing is, that function 100 is evaluating the liquid heat capacity which is valid up to 329 K.
Since the experiment I am simulating is performed at 293K, and the droplets with a temperature of 293K are also introduced into the flow, I think it would solve the problem. The problem was that due to the wrong values the temperature of the droplets jumped to the boiling temperature after one calculation step. With the values given above, the simulation runs without any problems and I use them to obtain values corresponding to the experimental values. Nevertheless many thanks . Hi, I made further investigations and there is still a few things to discuss. With the values you mentioned are the values between both species? Sounds good that you obtain reasonable results. Exactly! 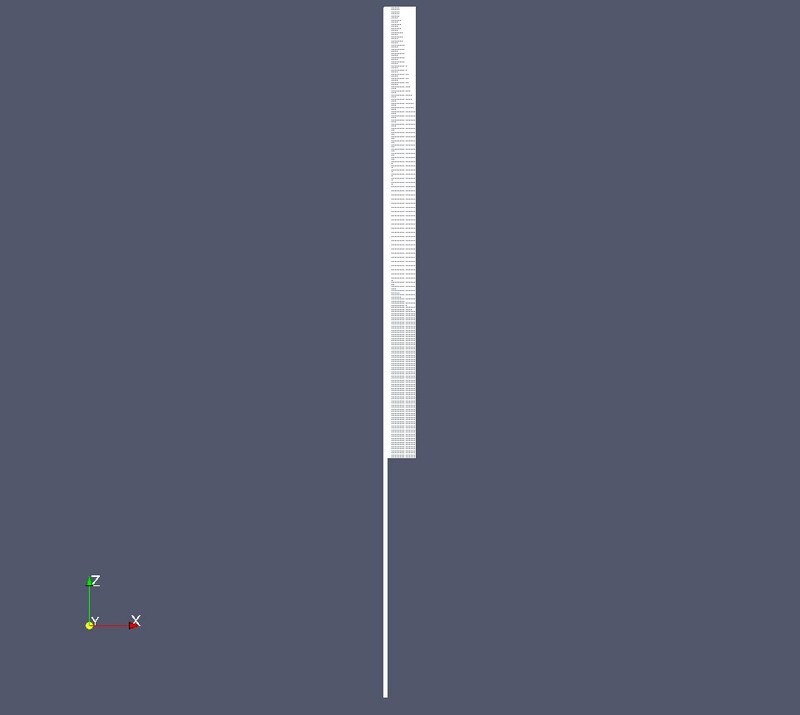 The values used are the above values I got from a linear interpolation. The temperature drops a bit too much in the simulation, and the evaporated quantity is a bit too low (about 5-10%). However, this has no great influence on the data to be evaluated for me. 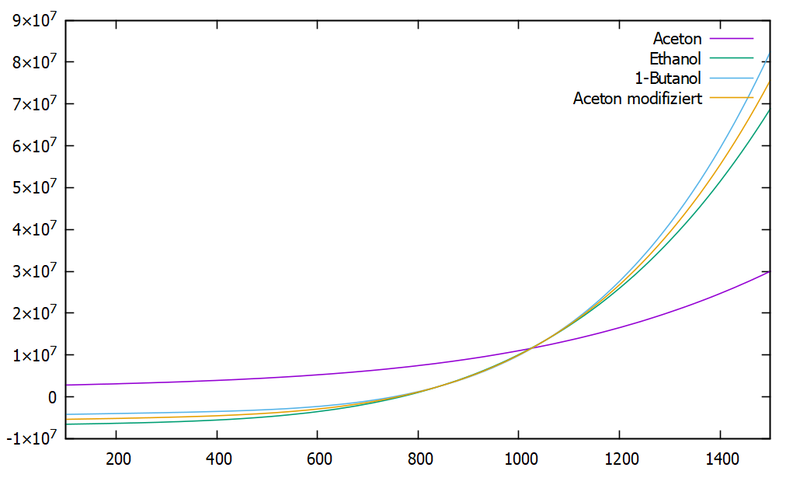 Of course the interpolation is not completely correct, because the enthalpy curve for increasing C-atoms is certainly not completely linear. Furthermore ethanol is an alcohol, acetone and 1-butanol not, but this setting worked best for me until now. I think we patch the database the next days. Would it be possible that you re-run the simulation with the new data and give some feedback? of course, I can do that the next few weeks. My project is coming to an end at the moment, so I should have enough time to give feedback on the new parameters. i have seen that the developer version has been patched, and have done my simulation with the new values. The temperature drops less than my self-estimated values, and the degree of evaporation is also more consistent with the measured data. I think the factors are now very good. Many thanks again for the fast and competent help.